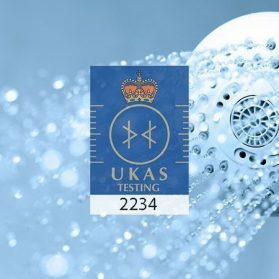 We provide on site service visits for some of the biggest and smallest companies in the UK, contact us to find out more. 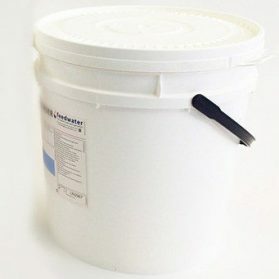 Our chemicals and services can protect you from legionella and other microbial growth. 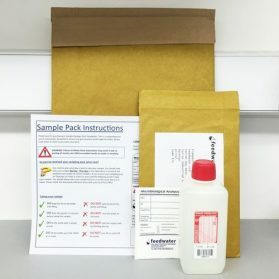 Our chemicals and dosing set ups provide asset protection from scale, corrosion & organic growth. 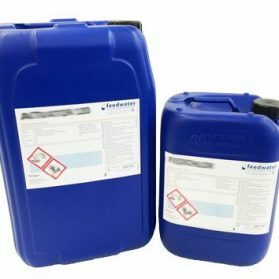 Feedwater is a manufacturer and supplier of a range of high-quality cooling tower treatment chemicals for UK and export. 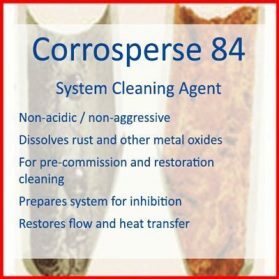 If not treated correctly, a cooling system can rapidly become choked with scale and corrosion products and become a breeding ground for all manner of problematic microbes. 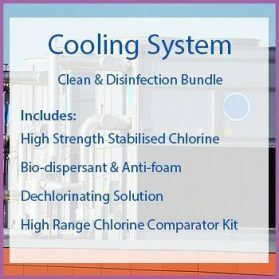 The cooling tower itself can become fouled with microbial slime, algal growths and if incorrectly treated can be the cause of Legionnaires’ disease. 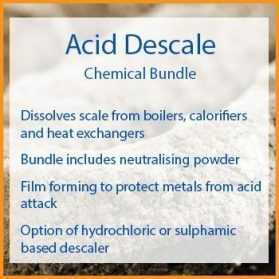 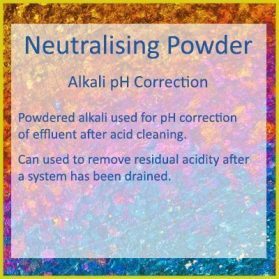 Problems are invariably inter-related and a comprehensive treatment programme is required which will involve corrosion inhibitors, scale inhibitors, polymer dispersant and micro biocides. 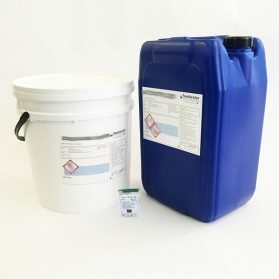 Our comprehensive range of corrosion and scale inhibitors are selected to match the water chemistry, system metallurgy and operating conditions in order to provide maximum protection. 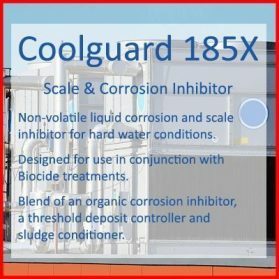 Coolguard products are multi-functional formulations incorporating threshold agents, multi-metal corrosion inhibitors and polymer dispersant as standard. 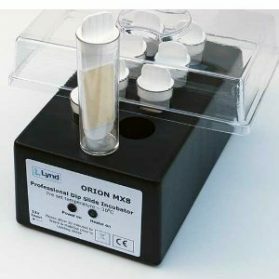 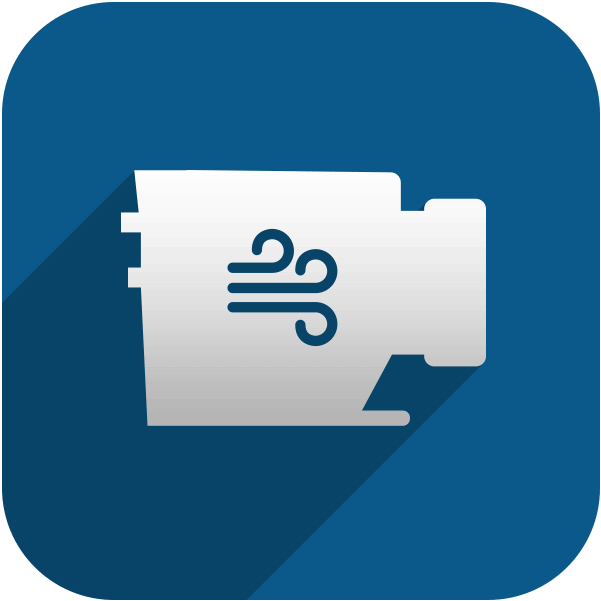 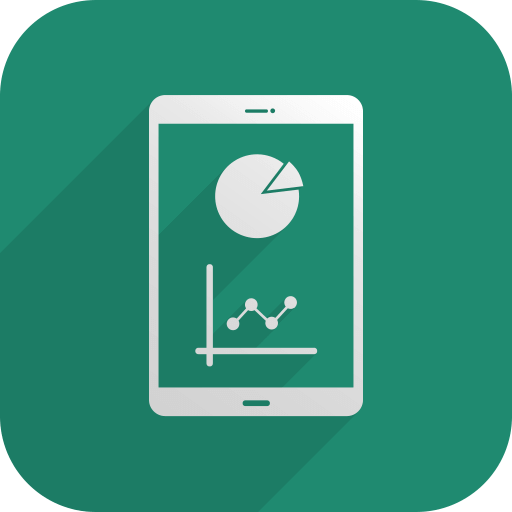 They designed to be as forgiving as possible and provide simple but effective control across a broad range of applications. 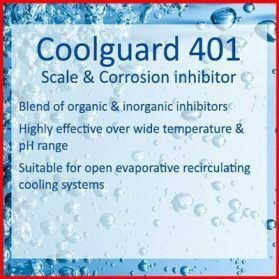 Our Bromgard products combine the multi-functional performance of the Coolguard range with a bromine pre-cursor and bio-dispersant. 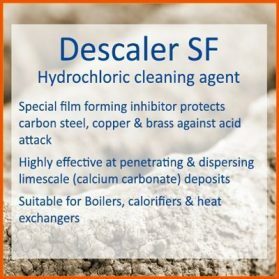 Dosed in conjunction with Bromgard Activator they provide not only scale and corrosion inhibition but exceptional microbial control in a simple, easy to control package. 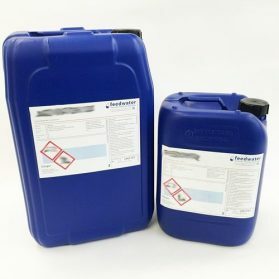 Our comprehensive range of cooling water biocides includes oxidisers and non-oxidisers as well as bio-dispersants to tackle the most troublesome microbial problems. 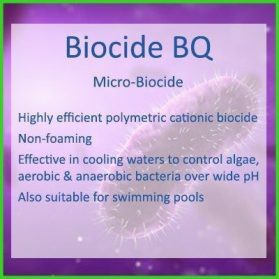 Biocide BQ – Non-foaming polyquat, – broad spectrum, giving excellent algae control. 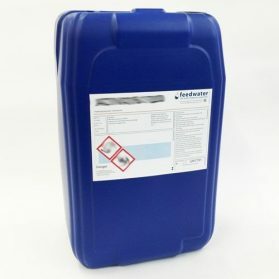 Also suitable for swimming pools and fountains. 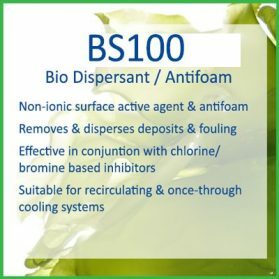 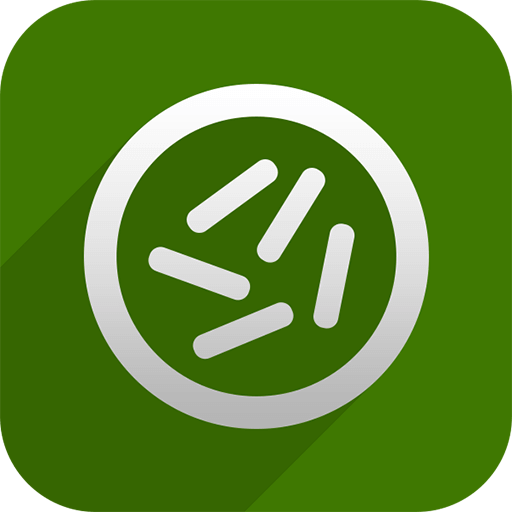 Biocide BR – Bromine release cooling water biocide tablets. 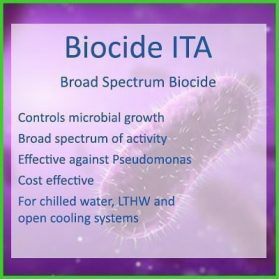 Biocide DA – Diamine acetate broad spectrum microbiocide. 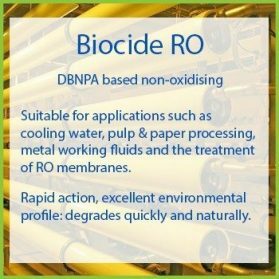 Biocide RO – Fast acting microbiocide based on DBNPA. 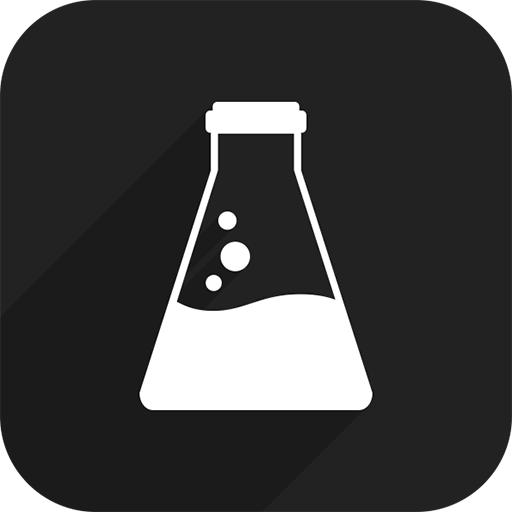 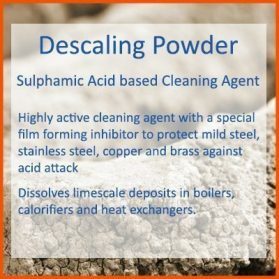 Any treatment chemical is only as good as the service that accompanies it and we’ve been treating steam boilers for over 40 years. 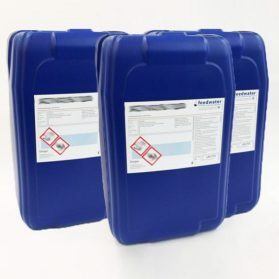 Our regional consultants look after hundreds of sites across the UK and are experts in the treatment of cooling systems so contact us today for all your cooling water treatment chemicals and service requirements. 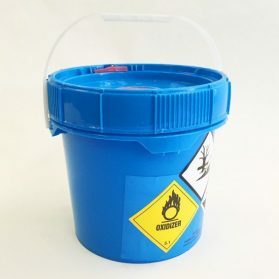 We can supply you with our cooling tower water chemicals with your own label on the drum. 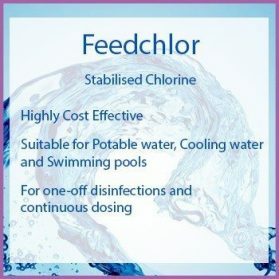 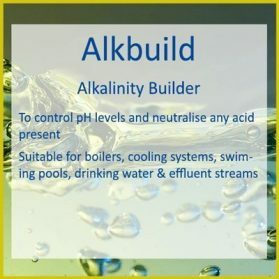 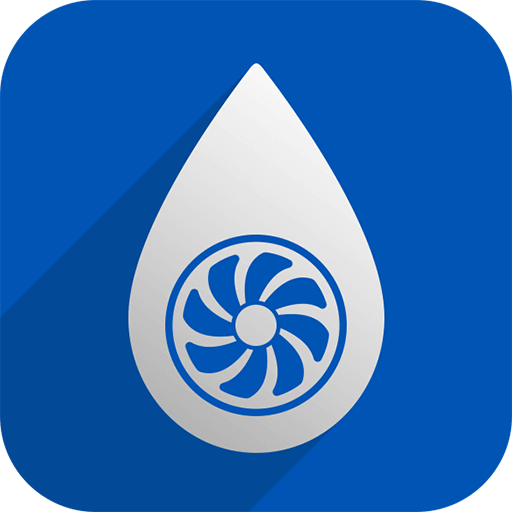 So if you are a water treatment service company, a cooling system specialist supplier or an FM company looking to increase your added value, why not contact us because we can help you.